Wallace Coulter was a very private individual. Unlike other giants of American enterprise, little was known, published by, or about him. His story is simply a tapestry of accounts, told by those who knew him. At the start, Sue vowed, “His legacy will endure forever.” Certainly, part of his legacy is the 85 patents that bear his name. Perhaps more importantly, his legacy is the people that he touched, taught and inspired throughout his lifetime and continues to do so through the Foundation and its many programs. As is often said of Mr. Coulter, “All he ever wanted to do, was serve humanity; and he did.” Here are the preeminent professional awards named in his honor. The oldest honorific award, and the only one personally approved by Wallace himself, is presented each year by the International Clinical Cytometry Society (ICCS) recognizing recipients for lifetime contributions to the science, education and practice of clinical cytometry. 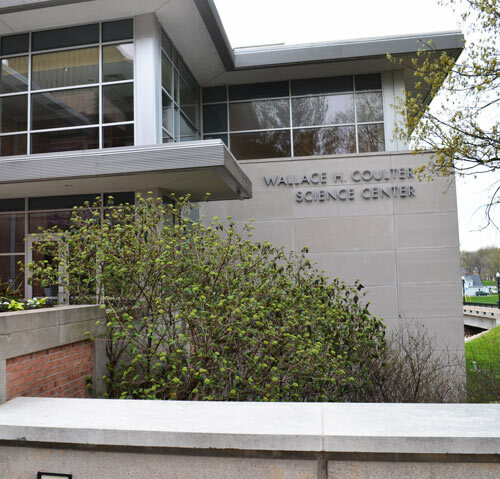 The American Association for Clinical Chemistry (AACC) commemorates Wallace’s outstanding contributions to diagnostics by renaming its most prestigious lecture (the national lectureship) in his memory.